Product prices and availability are accurate as of 2019-03-30 18:20:09 EDT and are subject to change. Any price and availability information displayed on http://www.amazon.com/ at the time of purchase will apply to the purchase of this product. 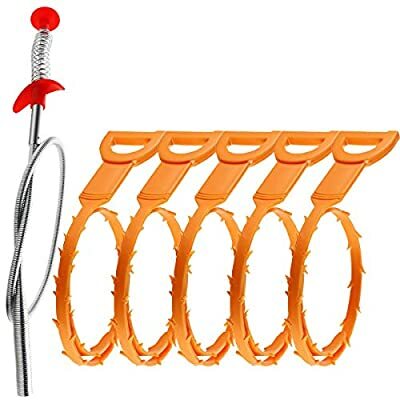 Drain snake hair drain clog can help you clean sink sewer pipes regularly to avoid water in sink and drain slowly. It's convenient and healthy. 1. Plug pointed part into the sink slowly until near to handle. 2. Hold the handle loop, pull it from up and down and rotate a few times. 3. If you feel that there are blockages on hook, and then lift it up slowly. 4. Throw the rubbish to trash can. 1. 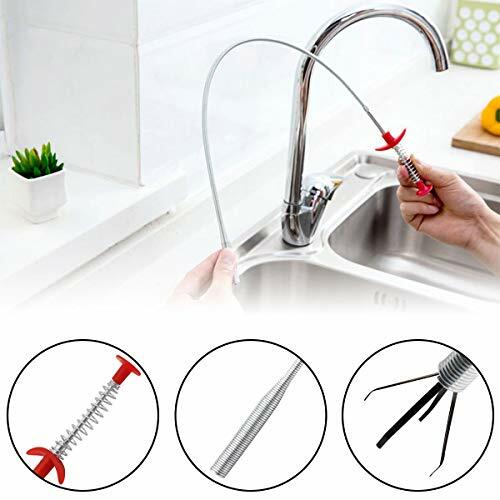 Plug claw part into the sink slowly. 2. Hold the handle, press the spring handle, and then the claw will open and grip rubbish. 3. Lift it up slowly, and throw the rubbish to trash can. 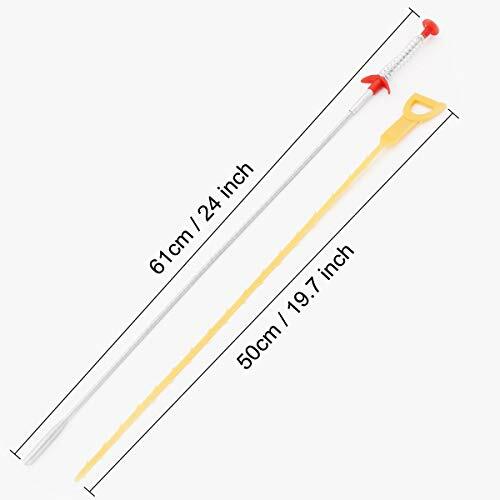 Plastic Drain Snake is 19.7 inch length, 0.31 inch width, 1.57 inch handle's width. It's long enough to go deep into sink pipes. The stainless steel cleaner is about 24 inch length, 0.9 inch width, PP + stainless steel materials with good toughness, there is a claw can grip hairs and other blockages tightly. 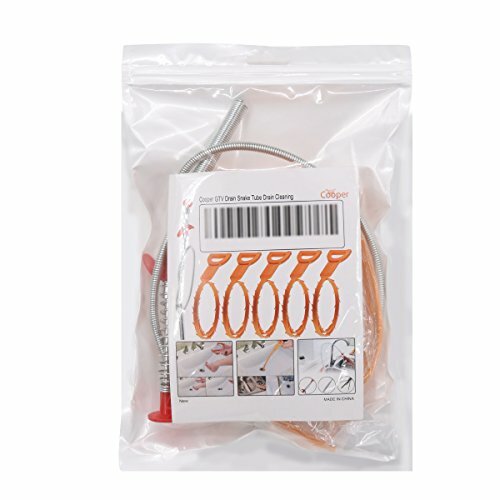 Package including 6 Pack Drain Snake Hair Drain Clog, 1stainless steel cleaner and 5 plastic drain snake tools for Sink, Tube Drain Cleaning. 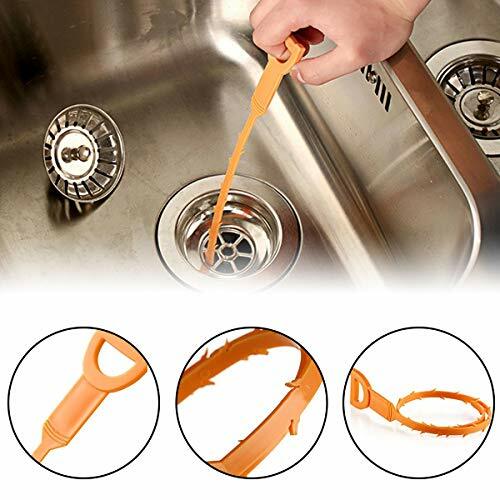 Drain snake clog remover is used PP material, its softness and hardness are proper; it's very easy to bend to plug into pipes, like snake moving. 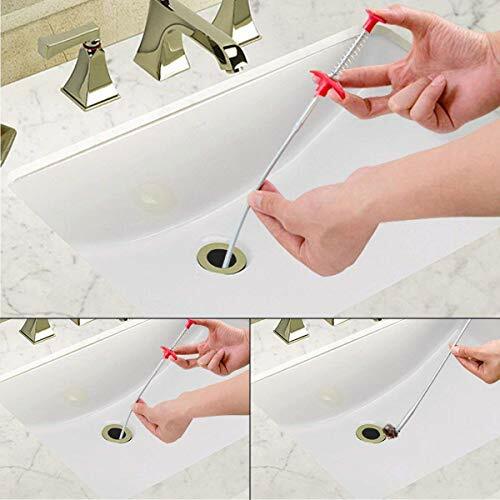 Drain snake hair tool can be applied to many places widely, for cleaning bathrooms, kitchen, sinks, tubs where most clogs occurred. Multi-tooth drain snakes efficiently catch hair, food and other blockages.